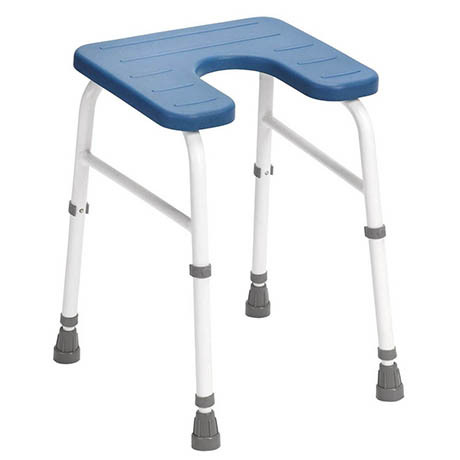 The Cowley is a free-standing, height adjustable stool offering seated support in the shower cubicle. It features an easy e-clip height adjustment to suit different user requirements and a slightly sloping seat from front to back to facilitate standing up. The Polyurethane (PU) moulded padded seat improves user comfort and is waterproof while the Duradip® tough, peel-resistant plastic coating on the tensile tubular steel frame increases longevity of use.